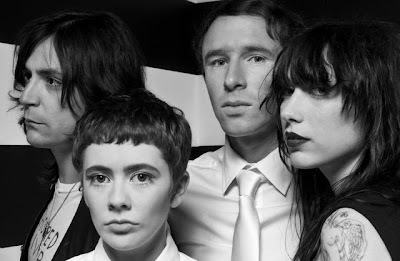 Those Darlins made a splash last week in town by hoisting a flesh-heavy banner over local outpost Grimey's. Turns out it's their album cover and they have a new single to go with it. "Oh God" is a grunge-country slow-build of a number and bit more atmospheric than the Darlins' previous work. We're looking forward to their headlining gig at Mercy Lounge on October 4th.